I have had this on the brain for a while, and finally I saw a recipe in Fine Cooking Magazine that my mother in law bought for me at the airport when she was visiting. I actually had the copy, because…I am a subscriber and I am not ashamed to say that a grown burly outdoorsman like myself reads cooking magazines! I am ashamed to say that I get about 15 different ones a month…. So when Chris said she LOVES biscuits. We made them. Great addition to Fried Chicken y’all. 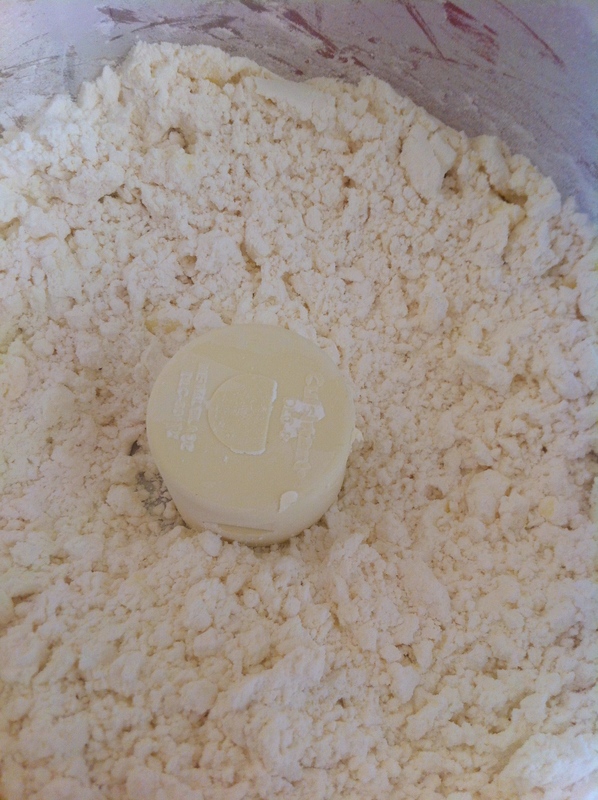 9 oz of chilled all-purpose flour, preferably White Lily, more as needed. 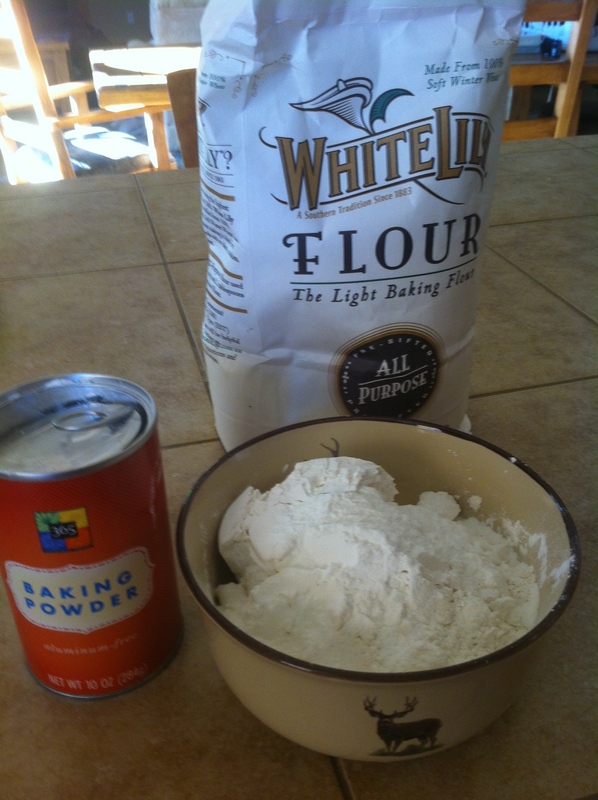 2 tablespoons of baking powder (preferably Aluminum-Free, such as Rumford. 3/4 cup buttermilk, more for brushing. I bought all the ingredients they said that I had to have on the internet. First thing you do is chill your food processor blade and a bowl for about 20 minutes in the freezer. Position your center oven rack fans pre-heat the oven to 375 degrees. Then line a cookie sheet with parchment paper. Once the blade is done chilling, pulse the flour, baking powder and salt until combined. Add the cold butter and process with ten-1 second pulses. Pulse 10 one second pulses. No more, no less. The butter should be the size of small peas. 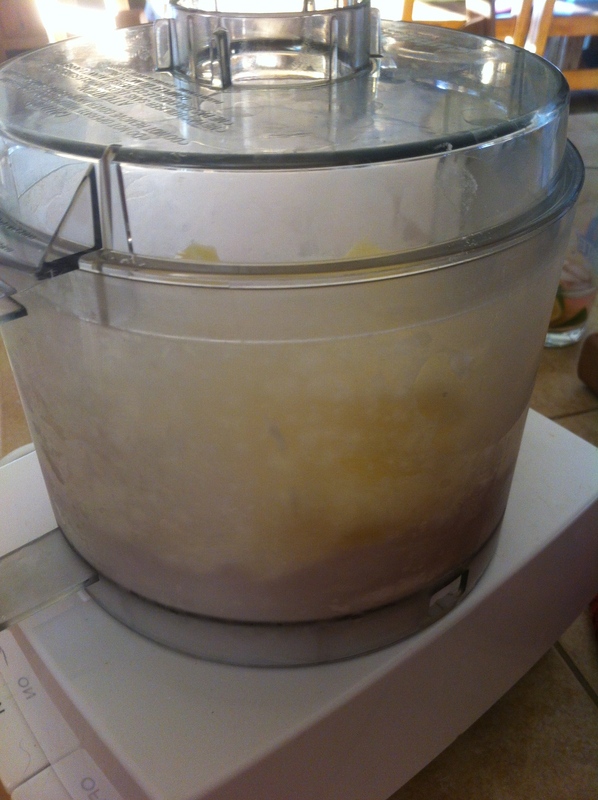 Then transfer the mixture to the chilled mixing bowl still in the freezer. The butter is the size of little peas, I passed that test. Add the buttermilk, moving your hand, with fingers apart , in circles to incorporate it into the dry ingredients. This is where I flip the %^$@ out. I realize that the Hunting Chef is not a baker and I start getting all frustrated with the consistency of the dough. My Mother in Law, Chris jumps into relieve me and says “Just take the pictures!” Feeling a little inadequate and sort of like a biscuit flunky I stood aside and started snapping photos with my I phone. See how she is sort of smiling like it is so easy a monkey could do it? 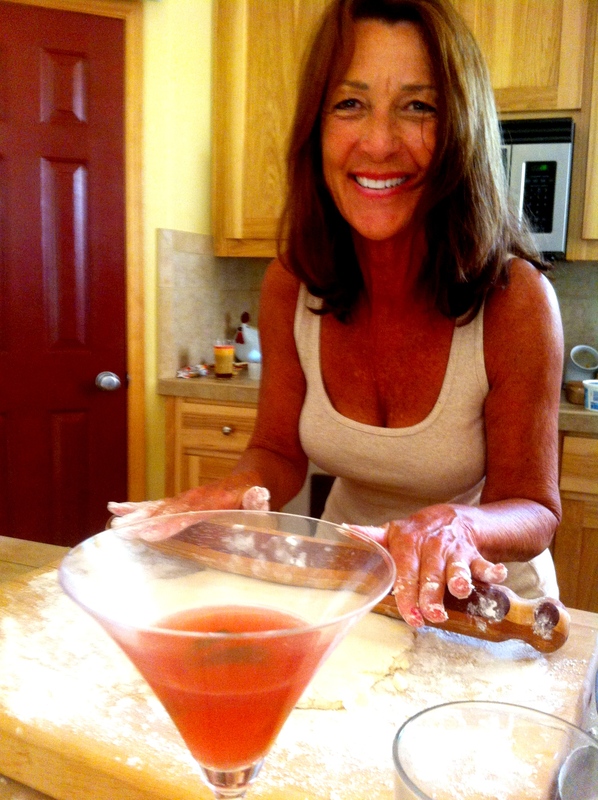 Pat and roll the dough into a 1-inch thick square. Using a floured 2.5 inch round biscuit cutter, cut out as many biscuits that you can, dipping the cutter in flour between cuts. I have decided to basically quit and pour myself a Martini while watching her work. I think my cutter had a dent on one side. No worries they will eat the same. 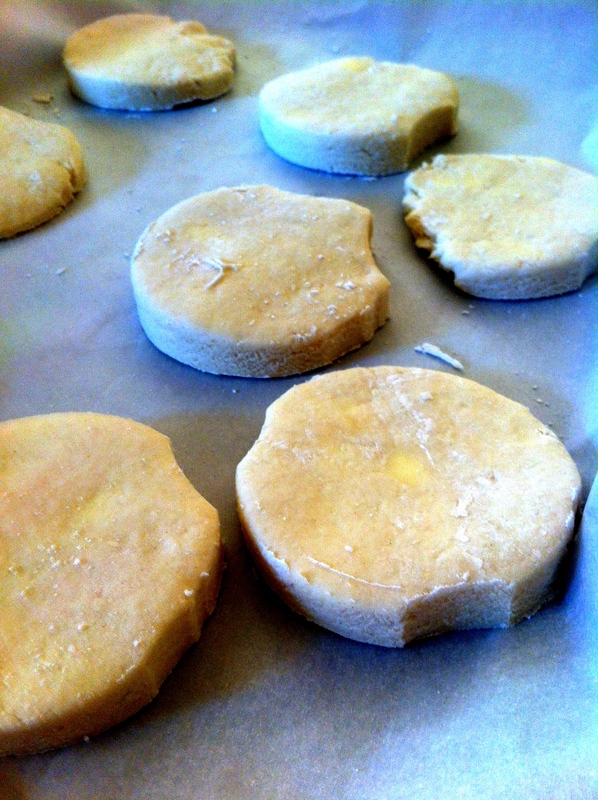 They are cut into rounds and layer on parchment paper. 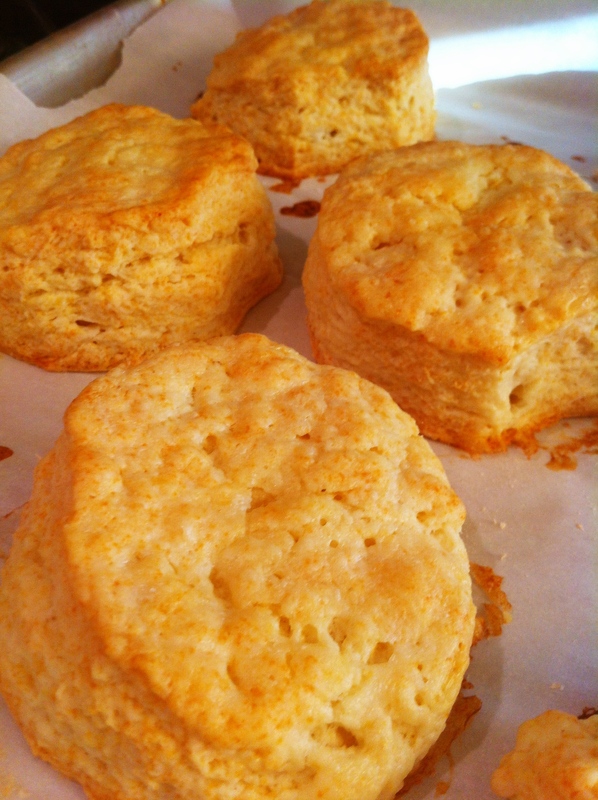 Brush the tops of the biscuits with butter milk and back until golden-brown, 20 to 25 minutes. Brush with butter and Serve! We had a great time making them, and they were DE-LIISH with fresh honey. Thank you Chris for your strength and leadership in the kitchen. The way you explain it, I think I can actually make those…with Chris’s help. They look really good and now I want to try them. You want me to talk to her and see if she will hop a plane to Texas? Lol. Naw….I think I’ll try to make them by myself first. If that doesn’t work….